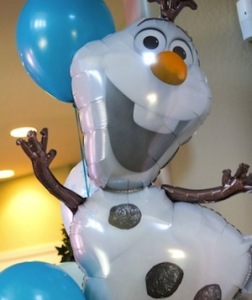 There are many different ways to decorate your Frozen Birthday party. 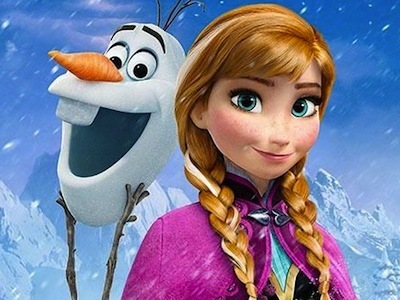 The colour scheme is white, blue, purple, turquoise. 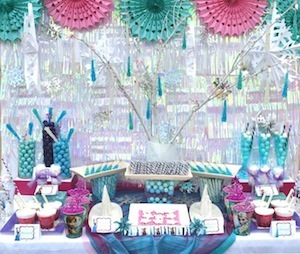 Find some snowflakes, some tree branches, blue candy, white marshmallows, purple candy and anything else you can find to match the cool wintery theme. 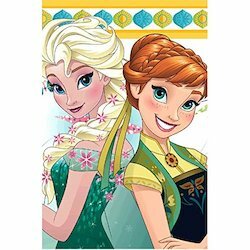 These colours work because Frozen is about Anna and Elsa and their adventures in the Arendelle. 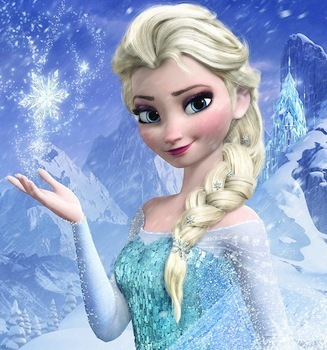 Elsa also has powers to create snow, ice and frost. 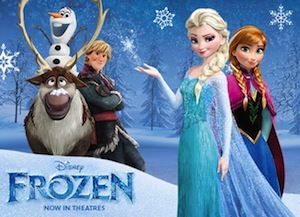 You can also find their life size props here to you can even bring the movie into life at your party. 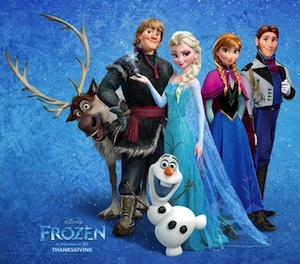 At the party, your kids or even you can dress up as Elsa, Anna or anyone of their friends in the Disney movie Frozen. 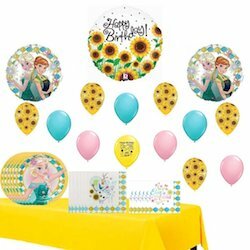 Below are some Frozen Birthday party tableware and decoration ideas and where to buy them online.